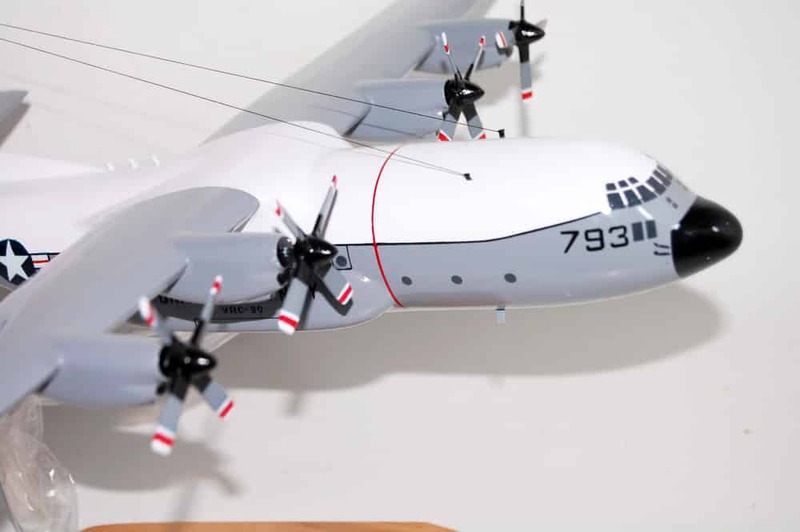 Capture what it was like to fly with VRC-50 Foo Dogs in this 18 inch C-130 model. 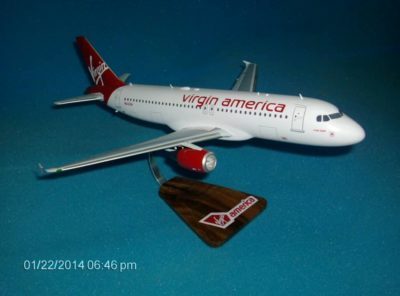 You’ll proudly be able to display this carefully crafted wooden model. 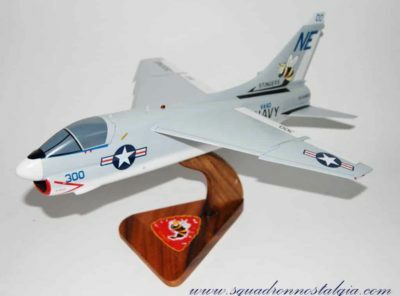 Fleet Tactical Support Squadron FIFTY (VRC-5O) was established 1 October 1966 at Naval Air Station, Atsugi , Japan. 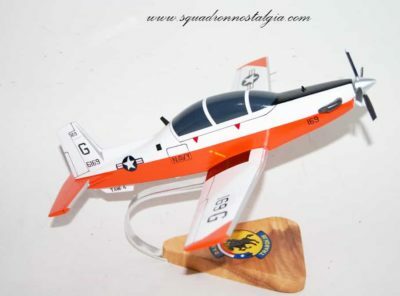 Prior to establishment, VRC-5O was an Atsugi based VR-21 detachment. 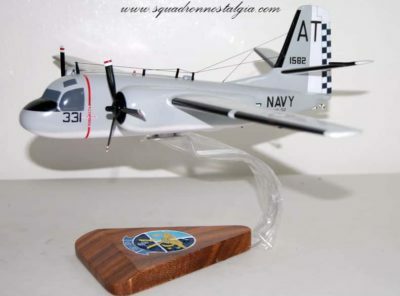 The newly formed squadron initially operated the C-1A “Trader” aircraft for Carrier Onboard Delivery (COD) The introduction of the C-2A “Greyhound”, 6 December 1966, marked the beginning of C-2A COD service to the fleet. Seven months later, on 11 July 1967. the CT-39E “Sabreliner” (light transport jet) arrived and an additional phase of operations commenced. The CT-39E aircraft cruised at 450 knots at a maximum altitude of 45,000 feet, providing rapid transportation between Western Pacific military and civilian airports. 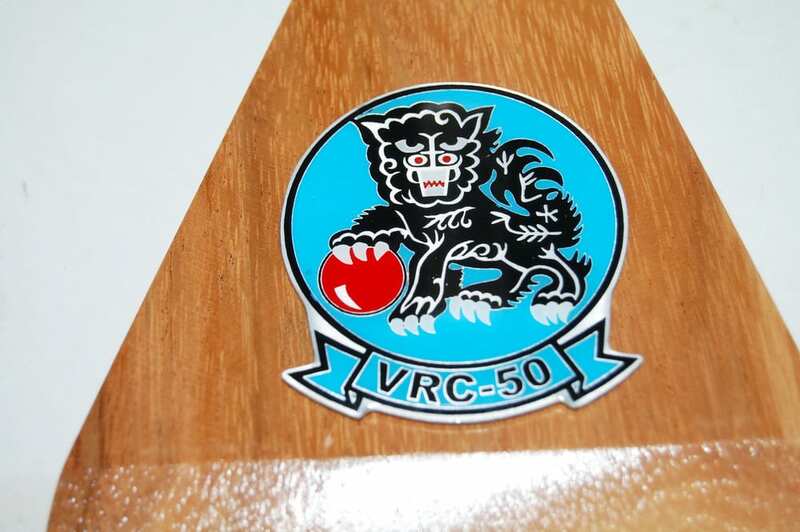 In September 1968, a permanent VRC-50 detachment was established at Naval Air Station, Cubi Point, Republic of the Philippines. 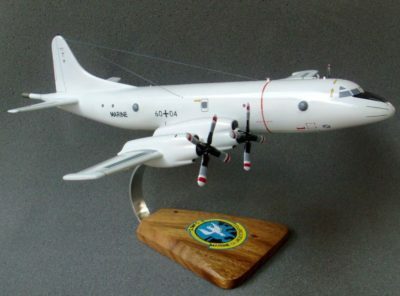 VRC-5O operated 10 C-2As in direct support of SEVENTH Fleet carriers operating in the Tonkin Gulf, Philippine Sea, and South China Sea. 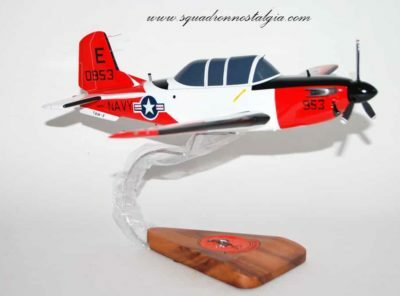 In recognition of VRC-50’s efforts and contributions in the Far East, The squadron was awarded the National Defense Transportation Award in 1968, 1978, 1982 and 1993 for sustained outstanding performance in military transportation. 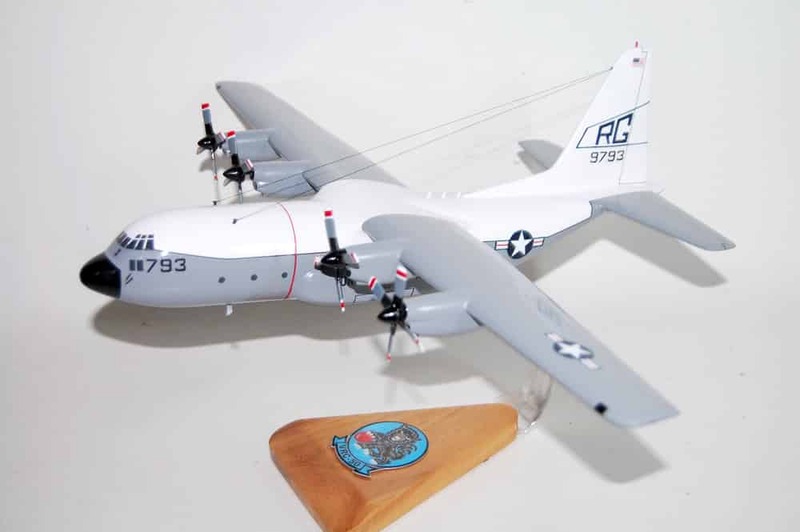 In June 1969 three C-130F “Hercules” transports were assigned to the squadron. Then in February 1971, VRC-50 received orders to change its homeport from Atsugi, Japan to NAS North Island at San Diego, California. [Authorized By: CNO, DTG R171535Z Feb 71] As part of this move, the C-130 aircraft were transferred to VR-21 in Barber’s Point, Hawaii, while the CT39Es, C-1As, and five C-2As were transferred to VRC-50 Detachment Cubi Point, Republic of the Philippines on a six-month rotational basis. 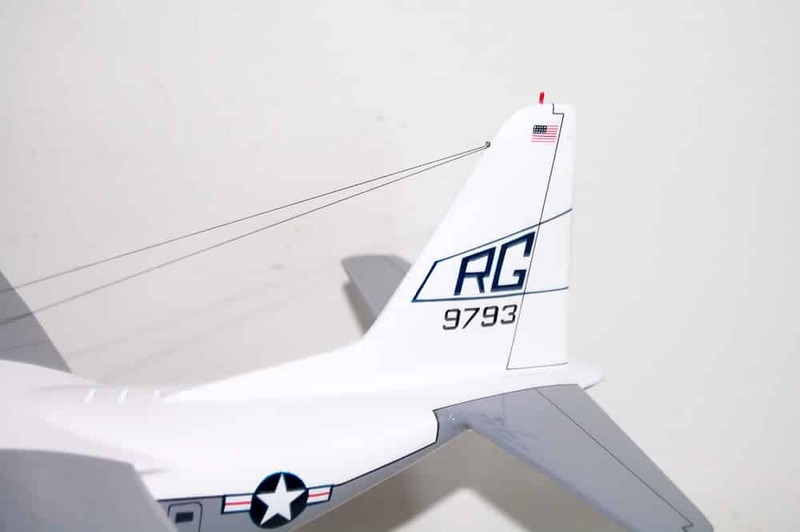 In December 1971, the squadron established a C-1A detachment at Danang Air Base, Republic of Vietnam, and assumed responsibility for Yankee Station Carrier Onboard Delivery. 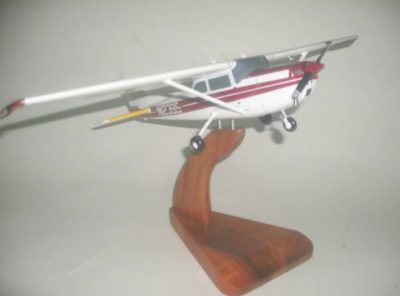 A further change of homeport, from Naval Air Station, North Island to Naval Air Station, Cubi Point Republic of the Philippines occurred in July 1972. [Authorized By: CNO, DTG 281950Z Jun 72]The Danang Detachment following the homeport change, was phased out seven months later allowing the squadron to operate as a unit for the first time in 4 1/2 years. 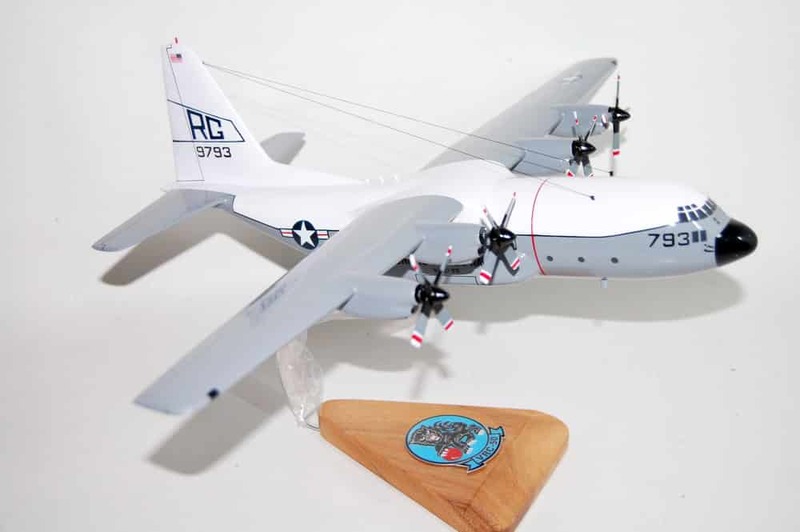 In April 1976, VRC-50 was redesignated “Fleet Logistics Support Squadron FIFTY. 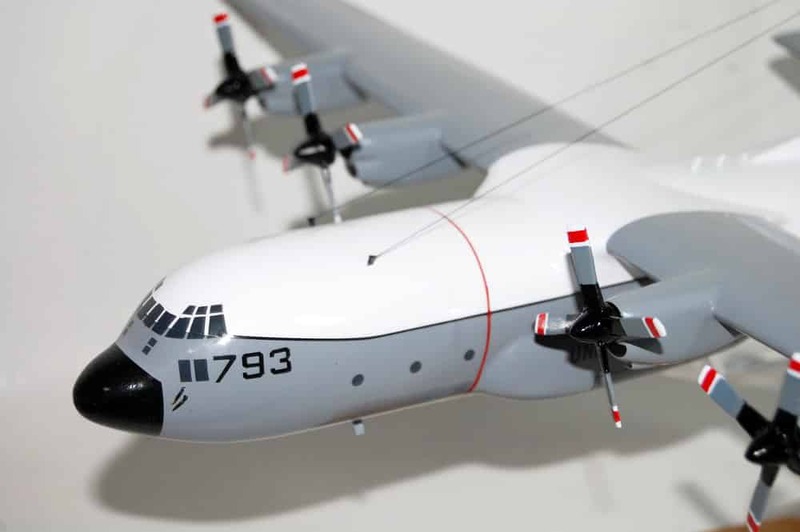 The return of the C130 aircraft in March 1977 brought the aircraft inventory to six C-1As, seven C-2As, two CT-39Es and three C-130Fs. 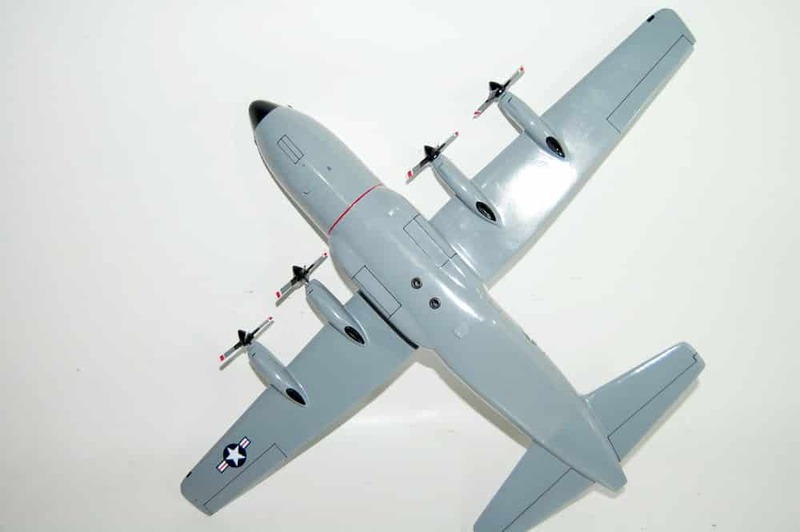 With additional use of the C-1A and expanded use of the C-2A aircraft, VRC-5O again provided Carrier Onboard Delivery (COD) support to SEVENTH Fleet units operating in the Western Pacific and Indian Ocean until calendar year 1981. With the retirement of the C-1A from the operational service, the first US-3A detachment personnel reported aboard in August 1981, and VRC-50 assumed operational control of the Diego Garcia detachment in March 1982, providing direct support to Carrier Battle Groups on “Gonzo” Station in the North Arabian Sea. It was here that the US-3A aircraft earned the name “Miss Piggy” following its 2,000 mile mail run. 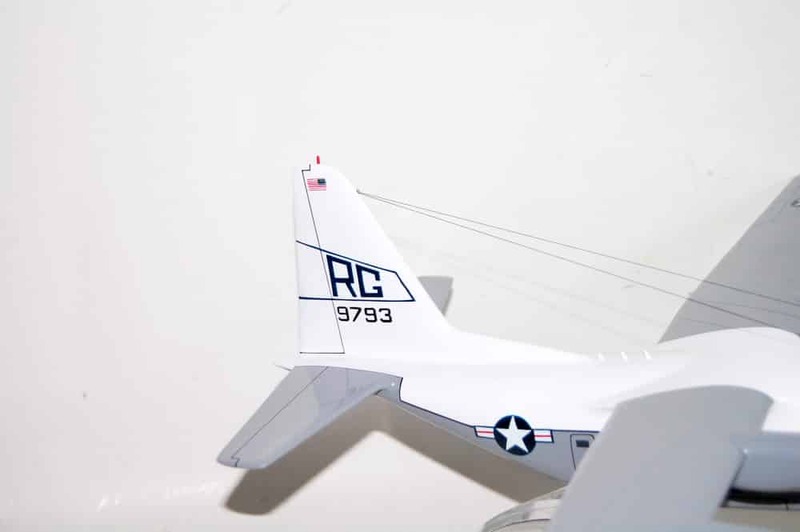 In December 1988, VRC-5O closed a chapter in its long operational history when its remaining CT-39E was transferred to MCAS Futenma, Okinawa, terminating its “Sabreliner” operations. In August 1990, the FOO DOG C-2A detachment aboard USS INDEPENDENCE(CV 62) established a 1-plane foothold in the Arabian Gulf which later combined with other logistic units to facilitate the biggest assembly of naval, air and land forces since D-Day. On 15 January 1991, two days before the commencement of Operation DESERT STORM, VRC-50 established a permanent detachment in Fujairah , United Arab Emirates, which remained until 1 September 1993. Following the eruption of Mount Pinatubo and as part of the U. S. military withdrawal from the Republic of the Philippines, VRC-.50 made a homeport change from Naval Air Station, Cubi Point to Andersen Air Force Base Guam effective 1 August 1992 while still providing uninterrupted logistics support to SEVENTH Fleet units. 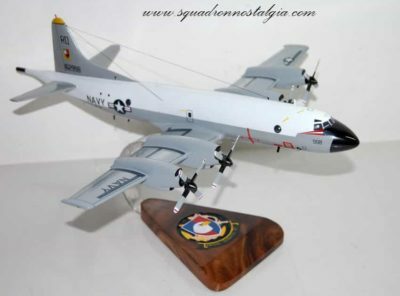 In August 1994 the US-3A completed 13 years of Fleet service with the transfer of VRC-50’s final four “Pigs” to VS-41 at NAS North island, California, for use as fleet replacement pilot trainers and VIP aircraft. 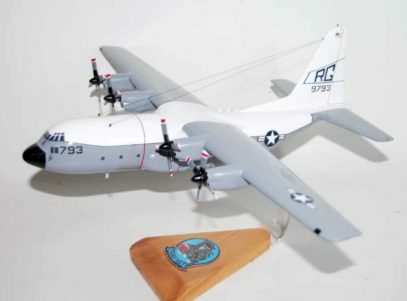 In September 1994 one C-130 aircrafl was explosively disabled on Andersen AFB, Guam and the final two C-130F’s were transferred to Davis-Monthan AFB, Arizona, for preservation. All C-2A aircraft were transferred to VRC-30 at NAS North Island or to VRC-30 Det 5, Atsugi, Japan.